Have you ever had a massage or sat in a sauna in a cave…that’s under a wine vineyard? How about wine tasting in an adjacent underground chamber? 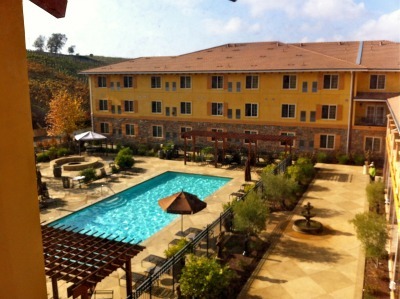 That’s part of what makes The Meritage Resort and Spa in Napa, California, so unique. 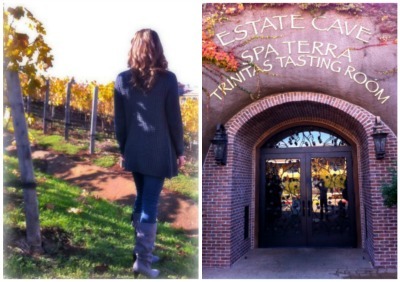 Christine and I visited in late November on what was our first getaway to Napa Valley. I know, kinda sad since we live so close, right? Anyway, we arrived in our beautiful room to a nice bottle of wine and a view of the resort’s pool. So serene was the courtyard – with not a single little one around – that we couldn’t wait to spend some quiet time roaming around, hand in hand. We explored the grounds a bit and ended up at the Siena Restaurant, only to find out that there had been a fire in the kitchen and it was closed. No worries – everyone was fine and there was minimal damage. We were grateful to discover that the Meritage has a handy shuttle service to and from downtown Napa. The concierge staff was extremely friendly and helpful, and advised us on where we would have a romantic Italian dinner experience. We were not disappointed at the recommendation and certainly plan to return! The next day, Chris and I had a couples massage at Spa Terra. It was just what the doctor ordered and we left relaxed and rejuvenated. We then took a drive into Yountville for lunch and found this cute little bistro called Bouchon, where we enjoyed some quiche and a glass of wine on their outside patio. As my mother would say, “This place is for rich people,” but Chris and I both agreed that it was worth the indulgence. We spent the afternoon touring a few wineries and made it back to The Meritage just in time for dinner. Siena Restaurant had reopened after the fire and we were very pleased with our dining experience. We both enjoyed a fabulous dinner of Filet Mignon with truffled Portobello, braised spinach, crushed fingerling potatoes, and Chianti jus. Yum! 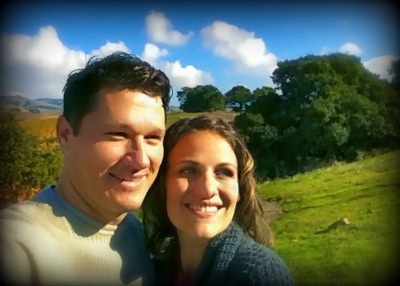 All in all we had an incredibly romantic weekend away and can’t wait to return to The Meritage Resort and Spa. Sooner rather than later. Hopefully. Glad you two had a great time. wow!!!! That looks so amazing. WHat an awesome time filled with a lot of great memories I am sure!